John Renton Archbald was born at noon at 8 Norfolk Street, Marylebone on 12 April 1839, the eldest of the five children of William Archbald and Agnes, née Renton. Both his parents had migrated to London from Scotland. He was baptised one month later on 12 May at All Souls church in St.Marylebone. The family were living at 25 Norfolk Street when John's brother William was born in 1841. His yougest sibling, George, was born in 1850 and the next year the family was shown in the 1851 census as living at 66 Swinton Street in the St.Pancras district. John was employed as a Railway Clerk when, on 11 May 1859, he married Sophia Gilfoy, a daughter of John Gilfoy, a Draughtsman, and Letitia, née Goodson. The wedding took place at Old Church in the parish of St.Pancras. The couple lived initially with John's family at 129 Great College Street and their daughter Agnes Letitia was born there on 9 November 1960. The family were shown as still at that address in the 1861 census which is where William Gilfoy was born on 23 February 1862. Ernest John was born on 9 October 1863 at 27 Camden Cottages in Camden New Town then Edith Sophia was born on 3 December 1865 at the same location. In the 1871 census the family were recorded at 1 Brydges Road in West Ham district, actually in Stratford New Town. By the time of the birth of daughter Beatrice on 17 September 1871, they were back in Islington at 9 Harvist Road. Son John Frederick was born in Islington on 28 March 1875. John is listed on the Electoral Register of 1873. The census of 1881 shows that the family were in North London living at 6 Marlborough Terrace in Holloway Road, Islington. Living with them also were John's mother-in-law Letitia Gilfoy, his sister-in-law Victoria Gilfoy and nephew Thomas Truman. John's profession was now that of an Accountant. Soon afterwards, it appears that John split from his wife Sophia, and he married Louisa Jane Bickmore at Islington Register Office on 14 January 1883. He illegally declared himself as a bachelor although the other details on the marriage certificate were correct. His address at that time was 32 Harvist Road, Islington. Louisa Jane Bickmore, eight years younger than John, was a daughter of the deceased Benjamin Bickmore, a silk merchant, and Eliza, née Woods. Louisa's brother John and sister Rose were witnesses at the wedding. 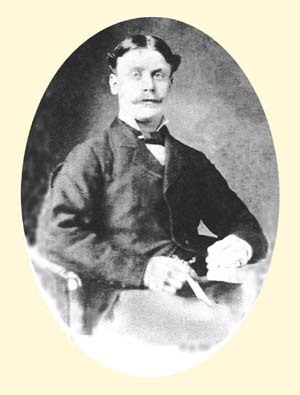 John and Louisa had a son Douglas Renton born on 18 March 1884 at their home at 15 Merton Terrace in Lugard Road, Peckham, Surrey, but the child only survived until 3 September the same year. Around this period, John's occupation was shown as being an Accountant. However, after 1887, all references show him as a Medical Electrician. Electrotherapy was popular at that time and, although John may have worked for a medical establishment, many untrained people opened treatment rooms. John's legitimate wife Sophia passed away on 26 January 1888, the death certificate showing her as the wife of John Renton Archbald. There are further references to John on the marriage certificate of his daughter Beatrice in December 1896 his son John Frederick in December 1903 which indicate him as living at those times. John's first wife Sophia passed away in 1888. The following year, John and his new family emigrated to Canada, settling in York, Ontario. Records show that John and Louisa married again, this time legitimally, in York on 18 September that same year. Attending the wedding was Louisa's brother Henry and his wife who had emigrated to Muskoka in 1863. It seems likely that John died in York on 29 March 1909. A registration has been found that matches his profile except that his place of birth is recorded as being Ireland. Mis-information perhaps?